Here are 10 tip to promote your brand so that when you open your business, rebuild your business you have a plan and a process in place. Visiting my favorite local market was an eye-opener. The person behind the counter was wearing a T-shirt promoting another store. Wow. Here was a branding opportunity handed over to the competition on a silver platter. The shirt had a compelling design and tagline so I asked about it and I was gladly told allll about someone else’s business. This doesn’t mean that you should print T-shirts. This means you should focus on your company. If I was the store owner, I would’ve had a dress code and probably a uniform to protect and promote the brand. The store owner missed out on several branding opportunities that went to the competition. A staff uniform can embrace staff individuality but cleverly tell a brand story to customers. Creating a memorable brand is not easy and it should be a lot of work. Your brand is your company, product or service. It needs a Unique Selling Point (USP) that is yours and yours alone that you CAN deliver, OWN and PROVIDE better than anyone. You need to focus on this and fine tune it. Do NOT pick five things. Pick one and OWN it. What you do best should not be offered by everyone. How you sell yourself has to be unique. It will be hard and frustrating. You’ll want to give up and throw anything out there. But if it was easy, everyone would do it. Take the time, commit the funds and do it right. Research your competition. Learn about the colors that will resonate with your target audience. Research by paying someone to test your final logo and design. Find out what’s out there and test for trademarks, copyrights, taglines that many, many, many business owners never bother to check. They think they’re the only clever people out there and create something that’s going to get them sued because it’s already in use. Be original. Hire experts. Skip the DIY. Test it. Retest it. Copyright it. Trademark it. Own it. Pay for a designer and don’t be cheap or you’ll look cheap. We always tell clients to create a memorable brand, take it everywhere. Put it on everything and take it everywhere. It should be visible on your daily person whether in a uniform, a pin, pen, notebook, computer case, hat, T-shirt, pants, phone cover, folders, car or vehicle wrap, bags, giveaways, etc. Carry your briefcase through the airport with your logo on it and see how many people ask you about it. See it. Hand out pens etc and you’ve taken your brand somewhere it will sit for awhile. Don’t be ridiculous and always be tasteful. If you’re spending thousands on premium items instead of advertising and marketing you have more problems than we can fix here. If you have your brand with you there’s no reason why you can’t promote it everywhere you go. If you sell zippers, carry them with you so that they’re always available. If you sell a service then your brand logo should be on your person or carried with you every time you leave the office. You’re a walking billboard for yourself and your brand. Protect what your brand looks like by using the same logo, font, colors, message, visuals, content, story and use it everywhere. DO NOT recreate your brand and have 10 versions of a logo or a print ad, or a poster or a palm card. Use the same everything that’s on your website and take it to your business card, your uniform, your advertising, delivery vehicles, notebooks, office window decal, client binders, T-shirts, hats and other premium items. If your colors are red and black, your other company items should be red and black. You have to brand yourself to the point where people get sick of seeing you in the same colors all the time. Who cares if they tire of it? They know you by your colors and your uniformity. Brand it in their minds so that it’s recognizable. If you doubt these branding methods, then take a look at the iconic brands: Tide, Coke, Campbell’s, Apple, Sony. They keep the short, simple, consistent look everywhere their brand is seen. They don’t change. They’ve survived and there is no question what brand means what. Sure they do special editions, holiday themes but when you’re a billion dollar brand as they are, you can pick and choose your special editions and people will make collector’s items out of them. Stick with the brand plan in the mean time. Don’t get tunnel vision on any one aspect of your brand. Don’t get obsessed with the logo or stuck on one stupid thing. Have vision. Look ahead and have a 10,000 foot view for your brand. If you can’t come up with a tagline and it’s holding up your business, turn it over to an expert and hire them to create one. If you keep redoing your logo because you want it to be cool and hip, stop it. Stop it now. You’re obsessing over minutia. If you’re focused only on your logo, you have real problems because you’re not looking at the bigger picture. Stay focused on the overall brand and how you want your target audience to remember and recognize it. Yes, make the logo a priority. Do not spend all your time creating it. Ditto for business cards or a T-shirt or a pen or a color on your website header. They are all a part of your marketing plan and need equal amounts of attention! On the whole logo issue…it doesn’t matter if you like it. YOU ARE NOT YOUR TARGET. Want to turn your target off, then create something that YOU like. If you sell video games to 16-year-old teenage boys who play five hours of video games daily, but you are a 40-year-old male with two children, married and play one hour of video games daily, you cannot think like or react like your target audience. Let’s use my favorite brand Coca-Cola, as an example of successful promoter. CNBC did a one-hour special on it: The Real Story Behind the Real Thing. You should watch it and learn from the No. 1 brand in the world. Over one billion people drink Coke every day. 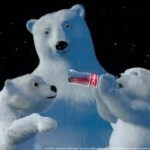 Coca-Cola can teach you how to promote a brand correctly. Start with an advertising budget which was Coca-Cola’s key to success. Coke has a compelling story but not about its originator John Pemberton, but about the Asa Candler who eventually owned the brand and turned it around with advertising. The actual creator of Coke couldn’t move the brand. The businessman who took the time to build the brand became successful. He took it out of the soda shops and put into bottles which made a formerly non-portable product, portable. Think about promoting your brand the way that Coke did. Find that unique selling point and market the hell out of it. Do the thing you think can’t be done and sell that. The brand visual makes you thirsty when you see it because you’ve seen it for so long in conjunction with the beverage. Your mind tells you you’re thirsty when you see the Coca-Cola logo because you’ve been conditioned through advertising to experience the beverage. They use a mnemonic (bottle popping open, Coke fizzing, beverage being poured into a glass full of ice) in TV, radio, print, online that is so intrinsically tied to the brand that your senses are triggered. You can experience it through the memories of it. You smell it, taste it, thirst for it. That is not a mistake. Coke spent millions developing and delivering its brand where you drink it, where you buy it, and by controlling how it’s sold. The logo alone now has the ability to recall the actual senses you use in its enjoyment. This promotion is done in food advertising, for example, a pizza company. Pizza is not for breakfast. It is for lunch. But it’s most known for dinner. That’s why the pizza companies run commercials during the times of day when they KNOW you’ll call and order it. You’ll see, hear and actually crave pizza as they show hot, sizzling pizza covered with gooey cheese, thick spicy-looking pepperoni. Your mouth waters for it. That’s what’s called a see and say: Say it as you show it. You SEE the food as they SAY its qualities in carefully crafted food descriptors. You, the viewer, see the brand as they say the brand and you are drooling for that brand of pizza. You want it. It’s sensory overload and it’s a science. Read about it and learn it so that when people think, say and see your brand they’ll want it just as much. You may not be selling a world-renown beverage or a hot and now pizza. But the brand deliverables and your marketing plan should be the same. If you position your brand correctly in front of your target audience when they are most receptive to it and maintain a market that actually craves the product in some way so much so that it is included in a part of its lifestyle, your brand will be successful. FYI: For those who don’t have advertising and marketing budgets today, here’s a little-known fact: Coca-Cola was spending $500,000 annually on advertising in 1906. The Marketing Square has provided proven web results for clients whose websites are built using advertising-based marketing plans. We fine tune client strategy to sell products or services everywhere.